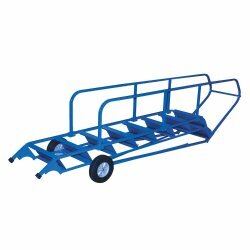 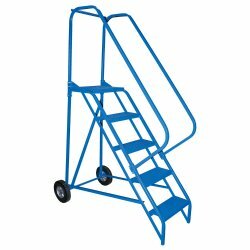 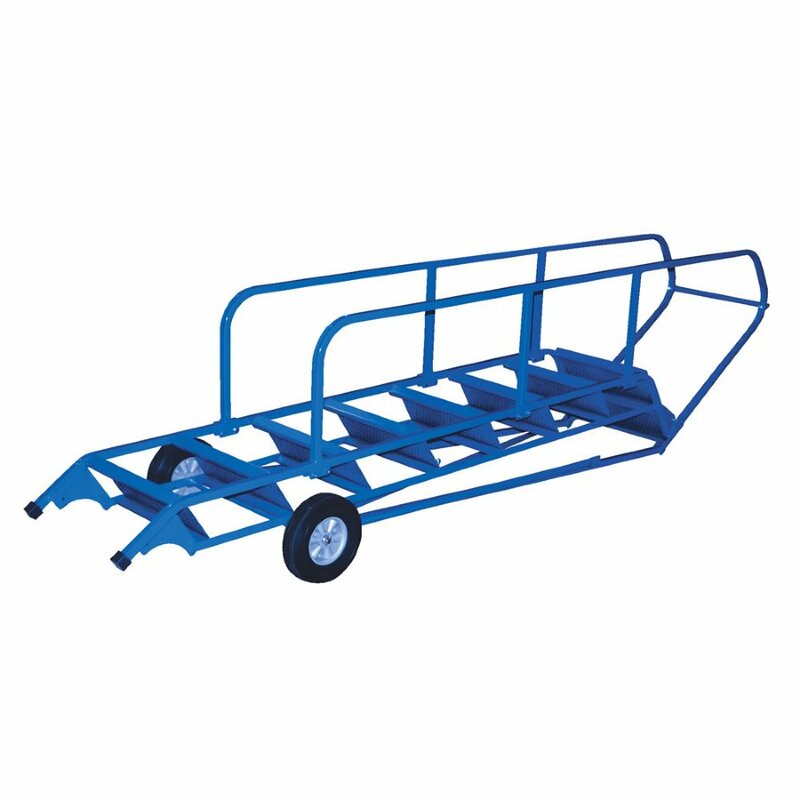 10 Step Roll-A-Fold Ladders with Perforated steps are ideal for workers that need accessibility, mobility and the ability to fold up the ladder for compact storage when not in use. 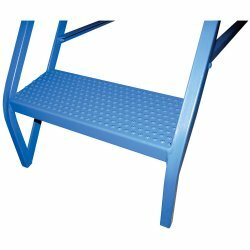 These ladders have a standard 58° climb angle with a weight capacity of 350 lbs. 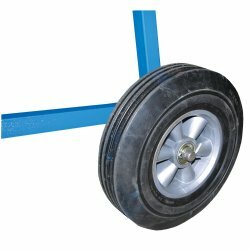 Complies with ANSI 14.7 and OSHA 1910.29 specifications.